I know first hand about drowning. As a youngster, I was left alone near the shore of a lake floating in a stryofoam tire. I flipped over trying to find the fishes and ended up being revived on the shore. My parents brilliantly decided to place me back into the water to prevent any long-term fears. Unfortunately, I only became more obsessed with water. At age 12, I was surfing in an early winter storm when a close-out wave pounded me into the bottom of the ocean and pulled me out to sea. I barely survived. (Dear Emily Post, I am coming to the conclusion that I may have been neglected as a young child and pre-adult. What should I do? Are drowning nightmares common? Signed: Confused in Entrepreneur, Texas). From one drowning man to another, the light at the end of the tunnel may be the fins of your surfboard, duck! If you were at the Houston Marathon this past week, you may not believe music is dead. Don’t fret Boo, Live Music is here to stay. I am talking about the recorded music industry. The key takeaway of today’s post is this: Pigs get fat, hogs get slaughtered. Yes, the music labels are Hogs. I had the pleasure of meeting and hearing Rod Beckstrom talk about his book, the Starfish and the Spider. In it, Rod discusses how industries swing from decentralization to centralization and back to decentralization. The takeaway is powerful: does your company and/or industry have centralized knowledge and power? If so, you may be in for a rude awakening. You cut off the head of a spider, it dies. You cut off the arm of a starfish, it grows back. The cutoff arm becomes a new Starfish. Goods news is this, if you can build a powerful decentralized organization, you may be impossible to stop. Rod studied one of the most powerful decentralized networks to refine his theory: Al Qaeda. I fancy the Apaches, same idea. Both exhibit powerful decentralized networks that are next to impossible to destroy. Look at AA (Alcoholics Anonymous), all chapters work completely independent but contain the same guiding philosophy. Can anyone name the founder or management team of AA? “For a century the recording industry was owned by a handful of corporations, and then a bunch of hackers altered the face of the industry. We’ll see this pattern repeat itself across different sectors and different industries. We call this radical swing “the accordion principle.” Over time, industries swing from being decentralized to centralized to decentralized and back again. In response to over-centralized industries or institutions, people rebel and create open starfish systems. In the 19th century, the power of the music industry was held by live performing musicians. To break into the 19th century music scene, a musician had to be an impressive performer. A musician had to travel and perform in front of many audiences to build a following (WWTD: What Would Twitter Do in the 19th century, “@JohannesBrahms – Will be at the Vienna rocking on my piano!”). When musicians left town, they took their virtuosity with them. Decades before the advent of recorded music, you couldn’t purchase Brahms greatest hits. When Thomas Edison invented the phonograph in 1887, the industry changed, overnight. This invention allowed people to take music home. As a result, numerous recording studios emerged. Individual performers lost power in the live performance because marketeers could discover new talent, sign them to a record deal, and market the music across the radio and in stores. The venture capital model emerged. The record studios naturally consolidated putting heavy investment behind the brightest talents (who may not even be able to perform live). 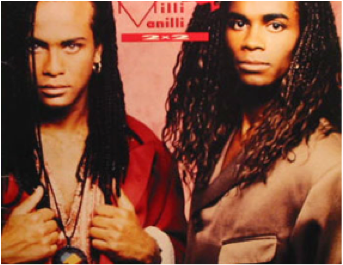 I sure do miss Milli Vanilli. By the end of the 20th century, the majority of the global record industry was concentrated among five labels: Sony, EMI, BMG, Universal Music and Warner Brothers. There weren’t many small labels left, and those that somehow managed to flourish were quickly scooped up and acquired by the Big Five. Over the course of a hundred years, music labels gained massive power, and small labels and independent musicians were squeezed out. Learn tomorrow about how the Big Five got caught lip syncing to the consumer. Pigs get fat, hogs get slaughtered. Previous PostCan your Management Team pass the Financial Literacy Test?